This ride combines all the wonderful elements of Udaipur (the lake city), the excitement of riding our Leopard Trail and the chance for Leopard spotting, we visit the Mehrangarh Fort and Jodhpur (the blue city), then continue North riding the Osian Desert Dunes, we watch thousands of migrating Demoiselle Cranes come in to feed at Khichan, and then we experience the famous Pushkar Fair. this really is the perfect mix of landscapes and experiences plus the delights and highlights of Pushkar Fair. This ride will give you truly a holiday to remember. Enquire Now to secure your space on our most popular ride! Riders must be at ease at all 4 paces across varied, uneven terrain and be in good physical condition. You must be secure in the saddle and be comfortable riding for long hours. Rider weight limit: 90 kilos. The horses are a beautiful selection of mostly Marwari riding horses, bred and sourced by Ajeet and indigenous to Rajasthan. They have the unusual characteristic of curly ears which can turn 180 degrees, they are usually 15hh to 16hh. Level of Riding & Pace – Intermediate plus riders. Slow/moderate pace according to the terrain and group riding ability. Tack – Mostly snaffles bridles and Indian Sewar style saddles. Helmets are strongly recommended and a packing list will be provided when you book the ride. The ride starts at Udaipur, takes in Jodhpur and Pushkar, and ends at Jaipur. You can reach by internal flights from the International Airports of Mumbai or Delhi. Full day ride to Dantiwara. Passing through villages and riding in the plains of the Aravalli hills, stopping for a picnic lunch, we reach our camp situated in front of the lake. All tents have en suite bathrooms and come fully equipped with all furniture, linen, towels etc. Camp overnight. Full day ride to Perwa in the Bali Forest. We make our way along the bottom of the Aravalli hills South West to the village of Perwa. We pass villages and rural farmsteads, making our way through the volcanic smooth rock formations, stopping in the shade for a long picnic lunch. Camp overnight. Morning transfer by road Jodhpur and to hotel. Afternoon sightseeing: Mehrangarh Fort. Mehrangarh Fort stands a hundred feet in splendour on a perpendicular cliff, four hundred feet above the sky line of Jodhpur. Burnished red sand stone, imposing, invincible and yet with a strange haunting beauty that beckons. Much has been written about the Citadel of the Sun, for truly, it is one of the most impressive in all Rajasthan. So colossal are its proportions that Rudyard Kipling called it “the work of giants”. Today, it is acknowledged as one of the best preserved fort in India. Evening shopping in the market and antiquities warehouse. Overnight: Jodhpur hotel. Early morning visit to the nearby bird feeding grounds – what a sight! Please note that this program is for information only and the itinerary may be modified according to the availability of the hotels, the weather, any other local conditions. All rides are full board and you will be spending seven nights in Maharajah style tents which come complete with en suite bathrooms, all furniture, linen and towels, hot water etc. We also use a mixture of heritage havelis, castles & forts, or hotels above 3* rating. With the following four nights spent in a variety of hotels ranging from bespoke family run old castles and country palaces, to more modern hotels who have recreated the Moghul palace architecture of the area. The hotels are picked for their location, ambience and facilities. All rooms are 3* and above with comfortable beds, side tables and all have ensuite bathrooms. The rooms are modern, with an Indian twist; some decorated in the old colonial style. The food offered by each hotel will be a mixture of traditional Rajasthani dishes as well as some modern options such as pasta, salads, pastries etc. Breakfast includes eggs (scrambled/omelettes/hard boiled), yoghurt, porridge, cornflakes, muesli, Danish pastries as well as Indian breakfast options of poha (rice and nut dish), puri or idli. Lunches are welcome after a hard mornings ride and you can expect a variety of light curries with side dishes of vegetables, poppadoms and naan breads. Dinners are a highlight and include some meat dishes, of chicken and lamb, along with vegetable curries, poppadoms and naan breads, or with continental options, followed by some local sweet deserts. Water is available throughout the day, each ride morning and afternoon you are encouraged to drink at least a litre of water, which is carried in your saddle bags. At lunchtimes, you are also served and encouraged to drink a special rehydration drink called Nimboo Pani, which is refreshing and made up of freshly squeezed lemon juice, water, salt and sugar. Each evening, the meeting point is the bar and the dining area, with evening meal taken in either the venue’s palatial restaurant, luscious gardens or candlelit rooftop for dining under the stars. Cost: £2595.00 British pounds. (Please contact us for the Australian dollar conversion. We use the ANZ bank sell rate for our conversion). Single supplement £300.00. Please advise when booking. 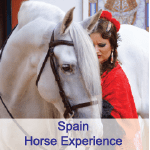 Rates are based on the British pound and subject to currency fluctuation, so please contact us for the most up to date pricing for your riding holiday. Horses, grooms, saddlery and transport / care thereof. India is such an interesting place to experience and we can easily arrange and recommend additional cultural highlights, like tours of Delhi and Mumbai and in Rajasthan, the beautiful monument of the Taj Mahal and the Amber fort in Jaipur.